If you have been reading our social media posts and blog for a while, you have noticed that our goal is to provide top-notch customer service to our clients. We could not reach this goal without having exceptional staff. We are proud to say we will have the best team in the insurance business. We are featuring some staff members this month, and for this week’s installment of #FeatureFriday is all about Tim LeBlanc. Tim was born in Leominster, Massachusetts and moved to Ormond Beach, Florida at the age of 13. He has been an essential part of our team since 2008 starting in our commercial department before moving over to our personal lines. Tim is married to the love of his life with two teenage children, two dogs, and a gecko. He enjoys family time, golf, watching New England sports teams and reading non-fiction. His proudest moment was not passing out while attending the birth of his children. 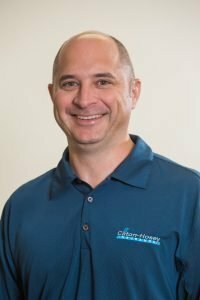 Before joining Caton Hosey in the insurance business, he was a general manager and part owner of a golf driving range in Orlando that he build from the ground up for six years before selling during the peak housing market in the early 2000s. In case you are not familiar with this French author, Jules Renard wrote poems, short stories, short plays, novels, and his famous Poil de carotte. We are proud to feature Tim this week. His quote makes us want to get a recommended book list from him. Follow us on social media to see who we feature next week from our staff – the secret to Caton Hosey Insurance’s success.